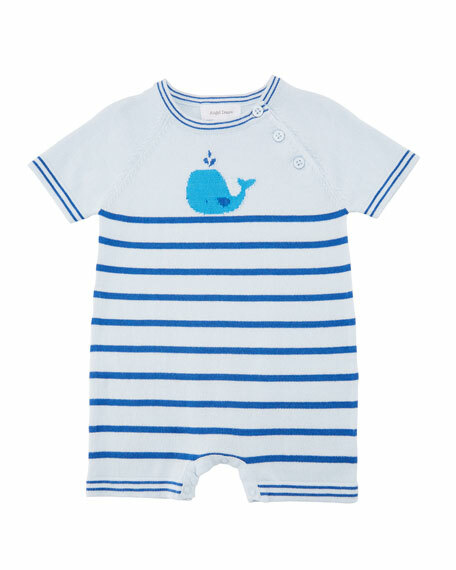 Angel Dear "Nautical" striped knit shortall. Whale intarsia at center chest. For in-store inquiries, use sku #2558520. 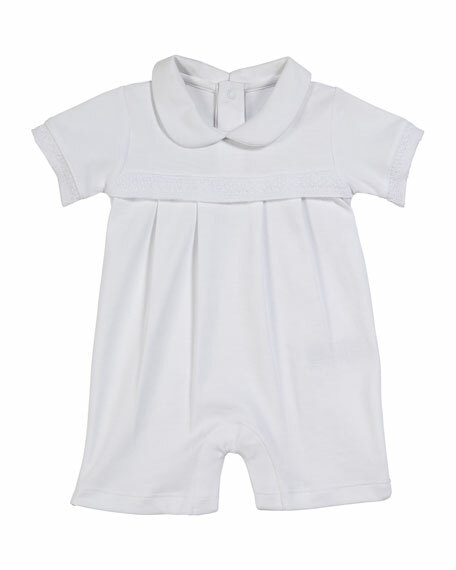 Kissy Kissy solid shortall from the Baby Homecoming collection. Tonal lace trim through chest and cuffs. 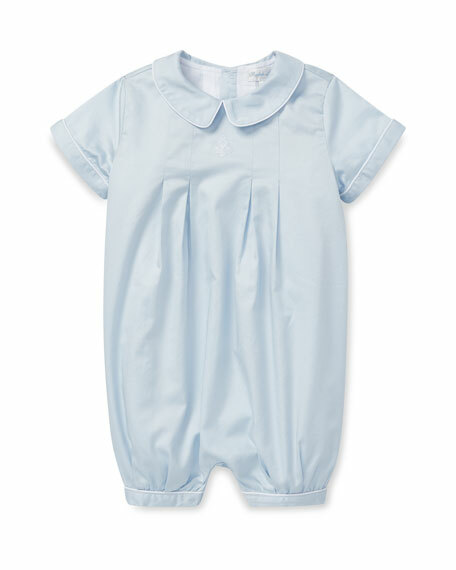 Peter Pan collar; snaps at back. Short sleeves. Box pleated waist. Snaps through legs. Pima cotton. Made in Peru. 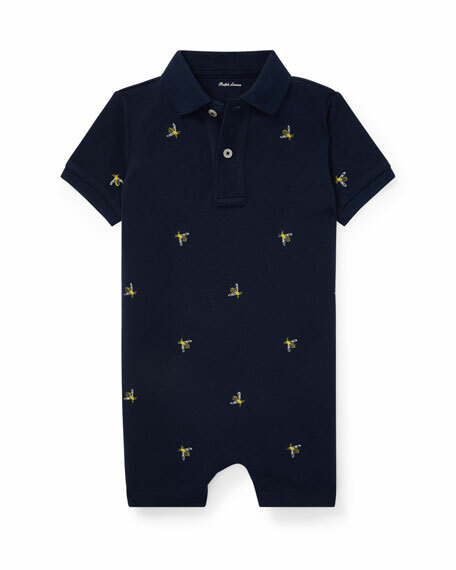 Ralph Lauren Childrenswear shortall with allover bee embroidery. Spread collar; two-button placket front. Short sleeves. Snaps through legs. Cotton; machine wash. Imported. 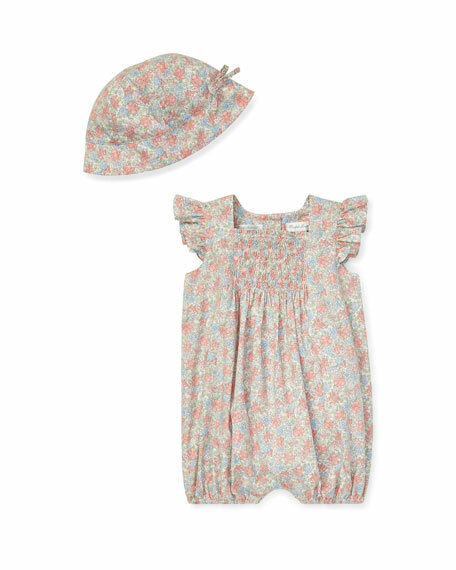 Ralph Lauren Childrenswear floral shortall. Hand-embroidered flowers and hand-smocking at front yoke. Square neckline. Short, flutter sleeves. Button back. Elasticized leg openings. Bubble silhouette. Ships with padded satin hanger. Includes matching hat. Cotton. Imported.